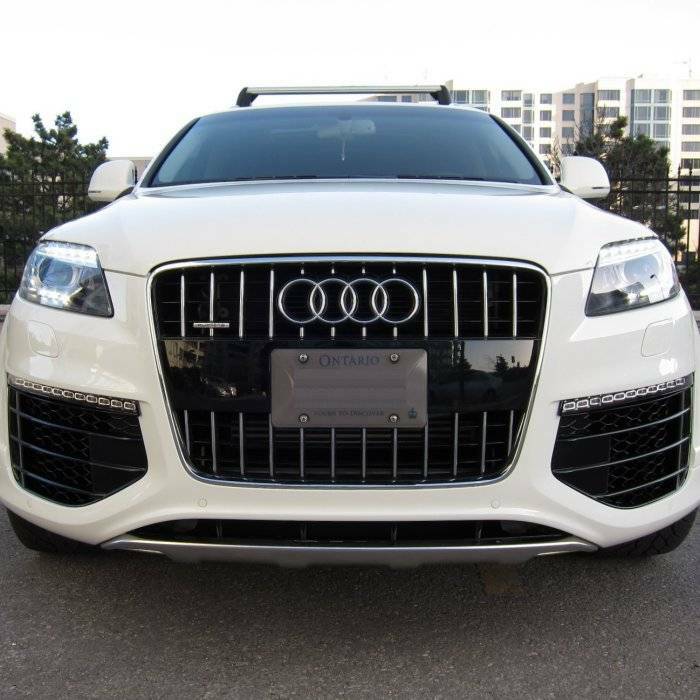 The most aggressive front bumper for your Q7 model. Features a more aggressive stainless steel chin and much larger air intakes. 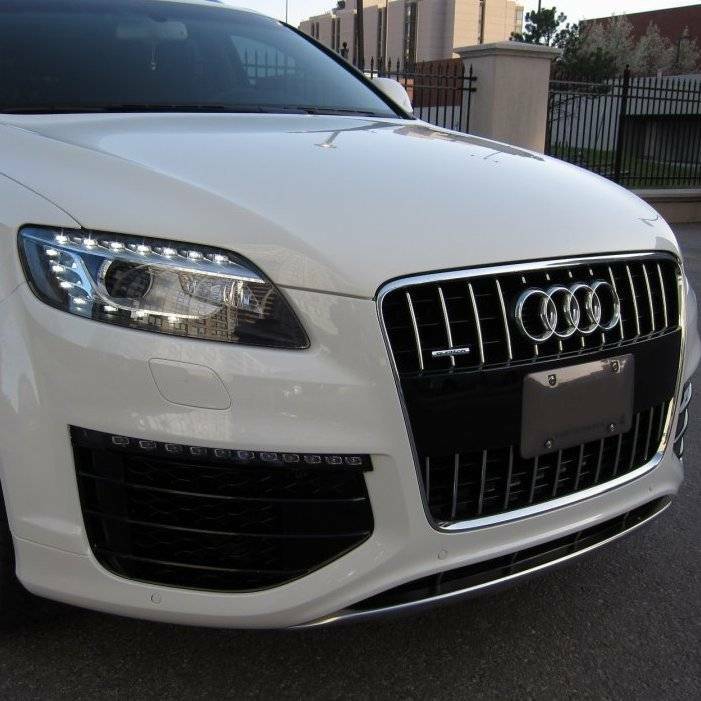 Package includes everything needed for fitment onto your Q7. Bumper cover arrives primed and ready to paint. *Note that with this bumper cover the side wheel arch trim will need to be fitted from your original bumper unless the entire V12 TDI wheel arch and door skirts set is fitted. *Note that this bumper cover only comes with front parking sensor cutouts. *Note that this package does not include daytime running lights. The V12 TDI DRL can fitted or standard parking or turn signal lights can be fitted from the original bumper as well.